Pretty interesting idea. I’m curious how the novel would portray him as Messiah without the Crucifixion. 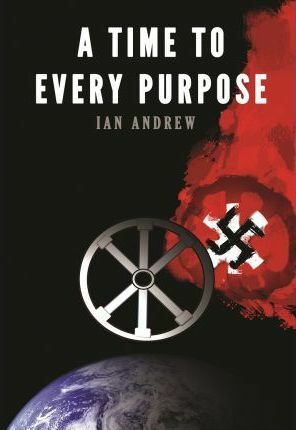 It would be interesting to see if Ian Andrew portrayed him as wholly Jewish or, like modern Christianity, “refactored” him as a more “generic” Savior. I posted some discussion questions on the Morning Meditations blog essay, though I did forget to mention one key consequence: The character known as “Jesus Christ” wouldn’t exist, because the Israeli rabbi Yeshua ben-Yosef would never have been re-interpreted as Christianity did. He would have been an entirely Jewish king ruling the entire world from Jerusalem, and the surrounding nations would have accommodated themselves to that reality and its demands. I use that term here because the audience of this blog will more likely recognize him by that name than Rav Yeshua. Here’s the link to the book on Amazon. This question has fascinated me off and on since reading it in my email notifications. I’ve come to the conclusion, it couldn’t happen. Peace would have been difficult to cultivate without bloodshed. You recall Judas, who wanted a definitive change, and Peter, who had brought a weapon with him to pray. Even those who lived intimately with Jesus didn’t get the peace part of His mission. As a realtime human King, He’d have been handicapped by humanity. He could have had his legions, but that isn’t what He was here for. I’d like to read this, it will be interesting to see how this author changes history. And please God, may others not take this like ‘The Shack’ or ‘The Davinci Code’ or…..
Actually, when Messiah returns, there will be war. I suspect he leads Heavens armies against all the armies of the Earth attempting to destroy Israel. Only after that war will there we universal peace, at least for the next thousand years. I mentioned elsewhere that I read something that said if Jerusalem would have repented during Jesus’s Earthly ministry, he would have assumed his role as the warrior King right then, instead of being crucified. It’s difficult to imagine, but there are other possibilities, at least in fiction and if you’re willing to play fast and loose with the Biblical text. Very true, though as I’ve considered a project like this, it would be quite involved.